« Magically Mundane Mondays – Enjoy Autumn! Ready or Not, Here Comes Samhain! Samhain is my favorite holiday. I love the Winter Solstice as well, but there’s something about the magic of this liminal time… Perhaps it’s the vague boundaries, whimsical to ridiculous costumes, celebrations, harvest food, or simply the visible changes all around. It’s a great time of year and, for many, it’s when magic and “energy” are most noticeable. In my opinion, it’s because Samhain and Halloween seem to officially usher in the holiday season. There’s a thick anticipation in the air mixed with stress and joy. Samhain snuck up on me this year. I felt more prepared for it last year after planning my wedding. I haven’t even carved pumpkins yet, and I realized this morning that I forgot to buy turnips. Since finding a home in Druidism, I’ve made the effort each year to make a traditional Irish jack-o-lantern with a turnip. It’s a small thing but I feel connected to my ancient ancestors when I do it. Perhaps I still have time, but the fact that I’ve forgotten this long makes me sad. In my defense, I have been very busy. I’m dressing as a woodland fairy this year and I made most of my costume from scratch. I’ve also been working on the new Artist Trading Card project that the ADF Artisan Guild is starting! I will be sending my contribution tomorrow and I hope the recipient likes what I made. I promise to post photos after it’s been received. I’ve also been working on other crafty projects in anticipation for an upcoming craft show in my home city. 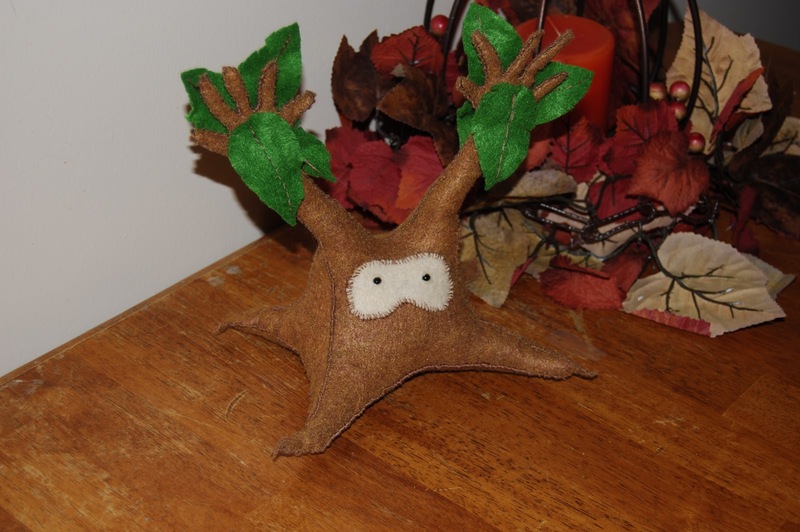 Check out the latest tree spirit.